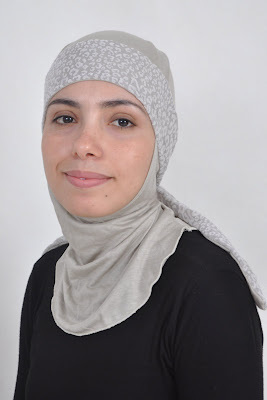 Today Hijab Style brings you a quick interview with Katrin Meyer, founder of the Moroccan-based hijab company Modiste. Jana: Tell us a little about yourself? Katrin: Salaam alaikum! I’m a revert to Islam, German, living and working at the gateway between East and West. Upon completing my studies of Islam in 2001 I worked long-time as assistant of an Arab ambassador in Berlin. From this exposed position I witnessed over the last decade the increasingly negative image of Islam in the West, marked by associations such as aggressiveness, oppression of women and backwardness. This discrepancy between Islam’s timeless beauty and truth and its contrary outside perception has since been my great concern because it has far-reaching consequences: It prevents Muslims living in Western societies from an equitable participation in the social and political life. Jana: What’s the idea and ethos behind Modiste? Katrin: The negative image of Islam doesn’t have anything to do with its essence. Rather with some of its outer forms of appearance and wrong conclusions of those who don’t know better. In order to rectify this distorted picture, it’s certainly not the message that has to be changed, but rather the way of communicating it. Fashion is unique in the sense that it is a subtle medium of communication with an immediate effect. Modiste hijabs are designed to reflect the universality of a divine religion. Islam by its very nature is vital and progressive and not necessarily Oriental. The misconceptions about Islam - oppression of women, lack of innovation - are actually a reflection of the current state of Oriental social structures. Our major goal is to empower Muslim sisters through a style of clothing that is less charged with connotations. At the same time we want to simplify hijabi life style. All our hijabs are simply pulled over the head, no need to wrap, pin or knot. Maybe it is because of my European background, but I’ve never got used to the traditional headscarf. It might look good if you’re skillful, but it’s not practical. We would like to offer an alternative to those, who feel the same. Jana: How have your products been received in Morocco? Katrin: During start-up phase in 2009 we received a lot of interest and support, but consumers were a bit reticent at first due to the new look and the comparably high prices. Meanwhile many Moroccan women have embraced our style and appreciate the high aesthetic standards and practicability. The same applies to our main target group- hijabis living in Western societies: Our style and concept enjoy a growing popularity. It is, in fact, very satisfying to see a theoretical concept unfold and work out in practice. Jana: What can we look forward to from Modiste in the future? Katrin: First of all we’ll maintain a lively exchange with our customers and resellers to further elaborate our current hijab collection. In addition, we have plans to launch a new hijab model every four months inshallah. We’re a very creative team and have lots of new sketches in the drawer. We’re also right in the middle of producing our first collection of smart-casual ladies wear to be rolled out in September of 2010 inshallah. All our designs are in line with the Islamic dress code and our label’s philosophy. Be in for a surprise! Insha allah will be available at www.ihtijab.com very soon! I really enjoy a few of those styles. But they don't have a larger size yet. I tried emailing but the email address doesn't work? I was going to ask if they have a mailing list that I can join so that I can be informed when they have big sizes... or if they do custom sizes? These are lovely, unique hijabs! Our email address does work, just try again: info@modiste-shop.com. Big sizes are not available yet, but hijabs "Meryam", black and purple, and "Iman", all colours, are suitable for larger sizes as well, because of their special patterns and a high percentage of spandex (Elasthan). I'm morrocan and i just love these things. When i'm out with one of them, a lot of morrocan women asked where they can buy them....so, is there any store where we can find colors and models? and by the way, thanks a lot for helping us to stay modern and stylish. May Allah bless you. Salaam! The major MODISTE reseller in Casablanca is AL-MAWASIM-Boutique in Darb Sultan. You're also very welcome to visit us "at home" in Kelaa Sraghna, Bloc el-Bahja 126.